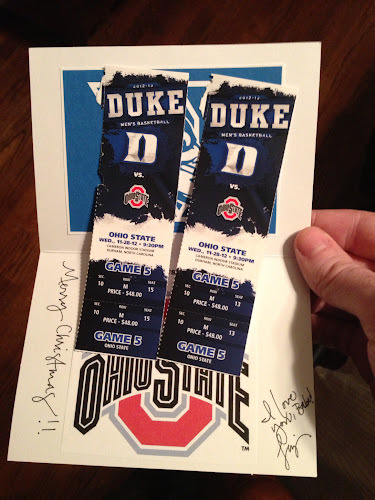 A good friend, Brent, and I received early Christmas gifts from our wives last week: tickets to the Ohio State-Duke game at Cameron Indoor Stadium. 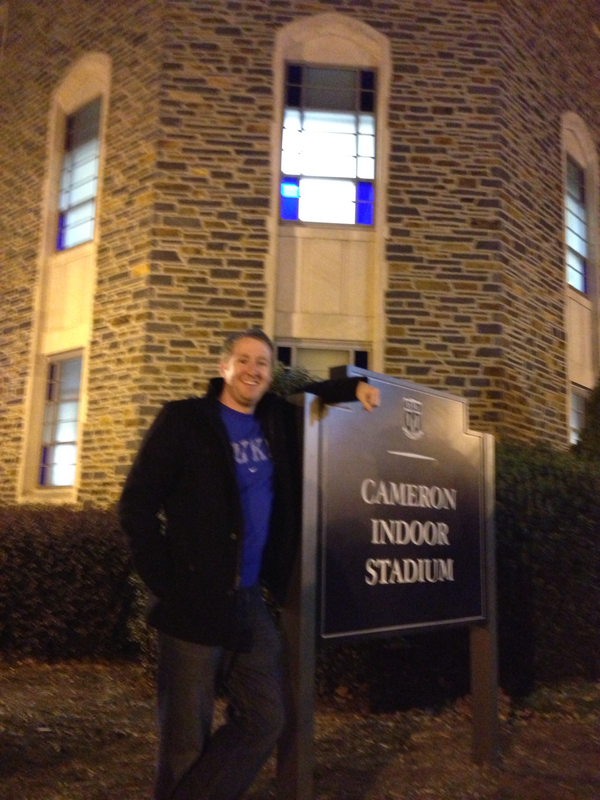 Though I had been to Cameron a couple of years ago for a game against UAB, it was nothing like this matchup. OSU came in ranked #4, while Duke was ranked #2, after beating two top 5 teams already in 2012. We left around 4:15 pm on Wednesday afternoon for Cameron. 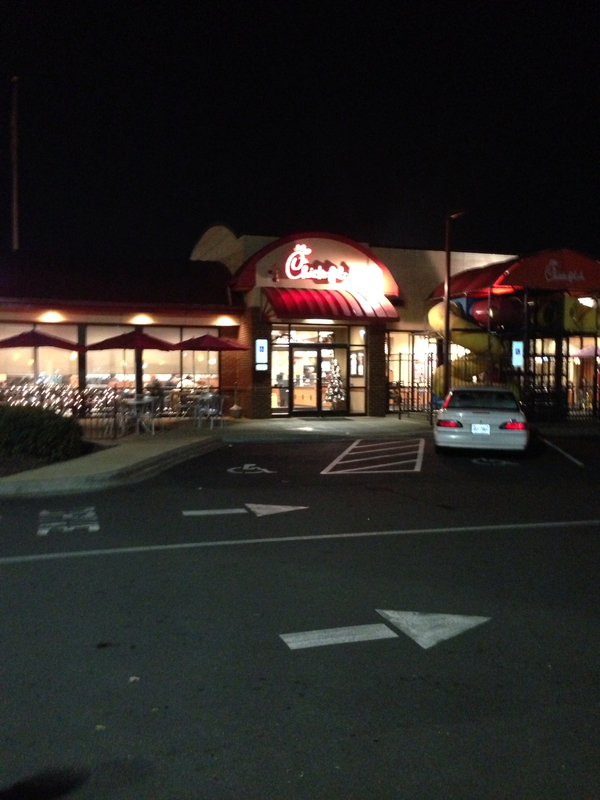 After a 3 hour, 45 minute drive, we stopped for dinner at a Chick Fil A, about two miles from Cameron. In spite of the fact that the cashier was a UNC fan, she treated us pretty kindly. Gametime wasn't until 9:30, so we still had an hour and a half to spend some time checking things out around the campus. We parked about a half mile or so from Cameron and then spent some time walking around and taking a few pictures. 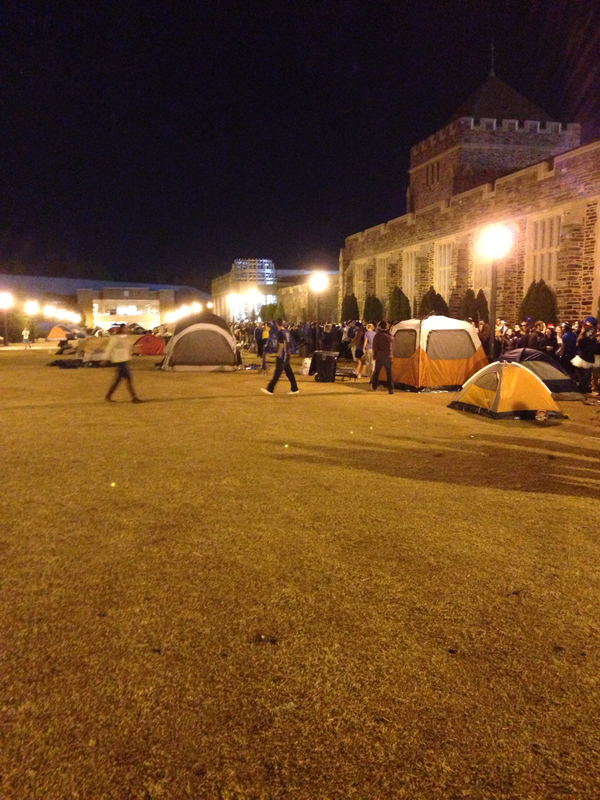 After seeing K-ville and the Crazies lined up and ready to go, we headed inside. The atmosphere was electric! You could feel it right when you walked in the building. There were a few OSU fans around, but blue dominated the building, as you would expect. The first half was terrible. 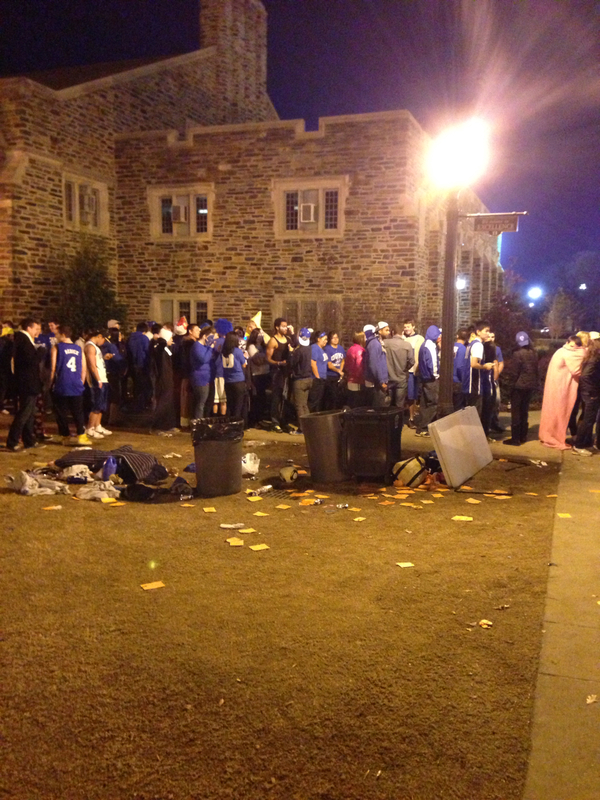 OSU looked like athletic freaks, and Duke couldn't hit a shot to save their life. We went into half time trailing by 8, but it felt like 18. 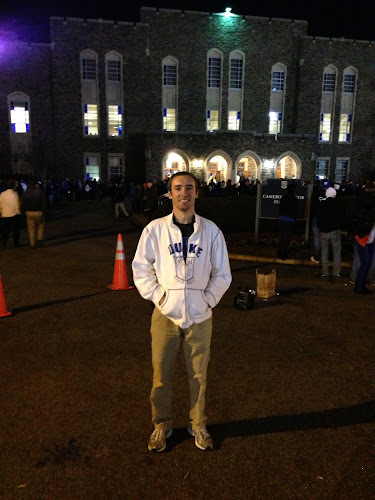 The second half saw the Blue Devils asserting themselves on offense and defense, executing well, and penetrating the tough OSU D. It was nice to see we had a few athletes on our side too. 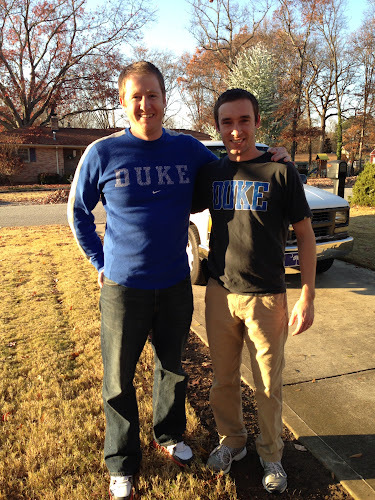 Plumlee was a beast all game (including the first half) and finished with 21 points and 17 rebounds. 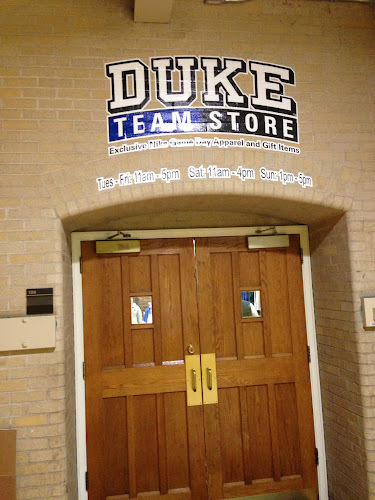 Rasheed Sulaimon proved once again that he is a super-frosh, by scoring 17 points … all in the second half. Quinn Cook was the glue that held Duke together, and the sophomore point guard leads with the poise and confidence of a senior. 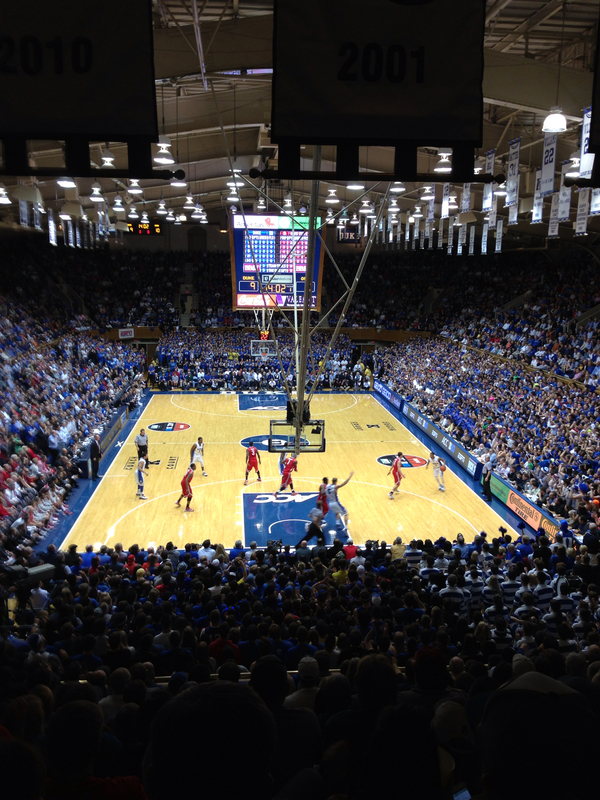 Duke finally took a second half lead with about 5.5 minutes left. Cameron was LOUD. 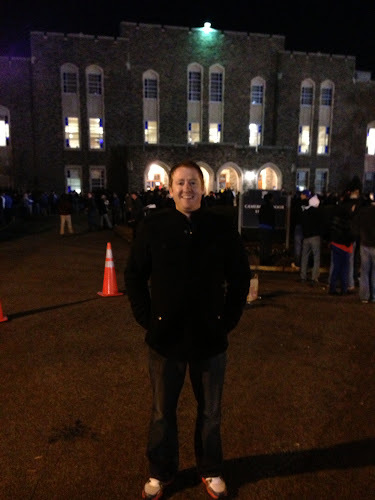 I went back and watched the game on ESPN3 to get a feel for watching on TV vs. watching in the arena. A couple of things were quickly obvious: TV controls a lot of what you see (there were several interactions among players, coaches, and fans that I never saw on TV). TV cannot do justice to the decibel level in Cameron Indoor. It was so loud for most of the second half, that our ears couldn't even comprehend the noise. It was an amazing atmosphere! 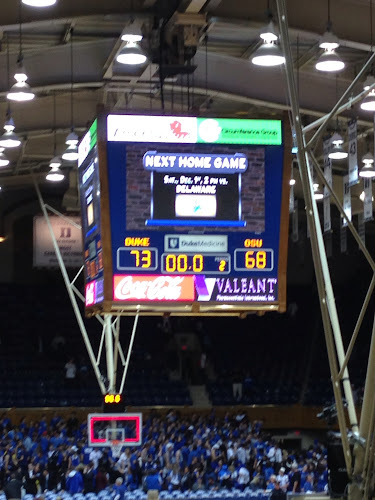 In the end, the Blue Devils outscored OSU 50-37 in the second half, to win by 5. Final score: 73-68. We got back around 4:00 Thursday morning. That was the only downside to the trip, but it was worth it! Thanks for a great Christmas present, babe! A particular highlight (Cameron erupted! ): Plumlee's alleyoop dunk off a pass from Cook. It looked at first like Cook had thrown it too high, but Plumlee got it and threw down a thunderous one-handed jam. This was the best single moment of the night. The following video is of the top plays from the game, along with some player interviews. Cameron was even smaller than we thought. Just kidding! This is a student gym next door to Cameron. 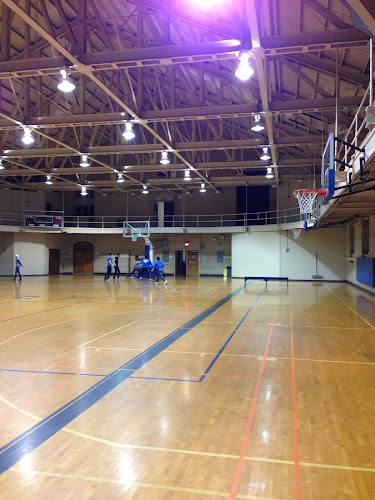 Apparently these guys enjoyed playing more than watching … or just couldn't get tickets. 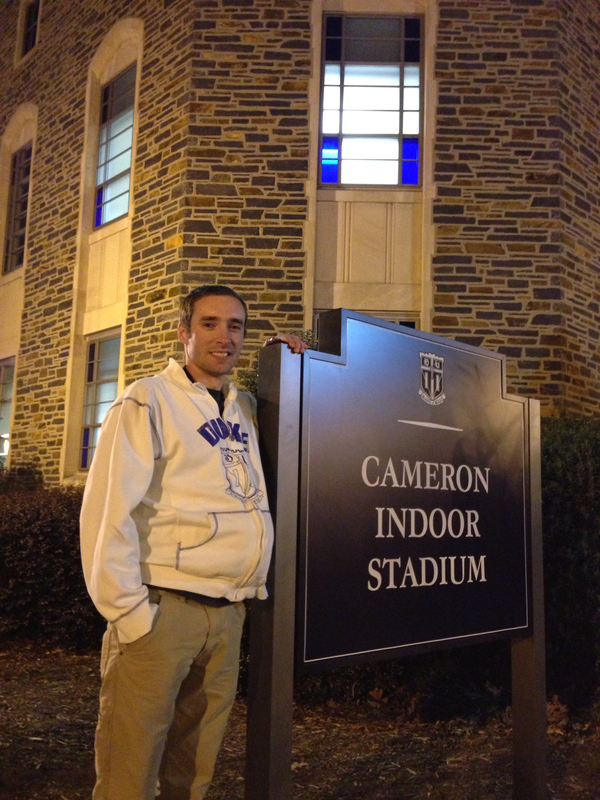 Brent by the Cameron sign, right by where the Crazies were lined up. Me by the same sign. It was pretty cold that night. Duke played offense on our end in the first half. Unfortunately looked terrible. Second half much better on both ends. Panoramic picture from our seats. Some pretty sweet banners hanging there! Is Brent Pregnant in the picture by the sign or did he just eat too much at Chik-fil-a? I’ll leave that between you and him. Some things should be kept private.